In the summertime, Whitehorse gets some 20 hours of sunlight, making it easy to take in the sights of Yukon’s capital at a relaxed pace. 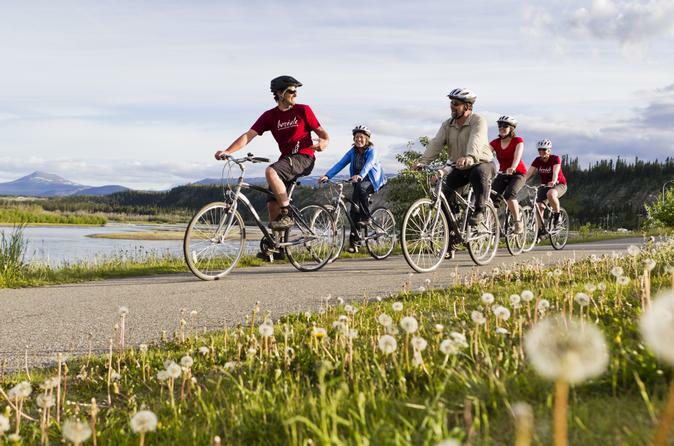 Hop on a bicycle in the morning or evening to cruise the paved Millennium Trail that takes you near the Yukon River and through town. As you pedal along the flat route, your guide shares the reasons they chose this northern Canadian city as home.